Steve Wynn has long been a major player in the underground music circuit. He was a founding member of the critically-acclaimed Dream Syndicate and is also a key member in the supergroup Gutterball. Late last year, he released his fifth solo effort Sweetness and Light on Zero Hour Records, and this fall Innerstate Records re-released Take Your Flunky and Dangle — a compilation of music recorded between 1987 and 1993. There's no doubt about it, Wynn loves not only making but also listening to music. "I love music, and I still buy tons of records," Wynn stated. "When it comes time to make another album, I filter all the things that are thrilling me at that moment into the new project." He has a special knack for synthesizing the sounds that he hears and incorporating them into his own records. "I'm really consciously excited by music and always trying to make the perfect record," Wynn laughs, "but I haven't done that yet. Each record gets a little closer, though." Sweetness and Light blends the '60s psychedelic pop of The Beatles and The Byrds with the punk intensity of groups like The Velvet Underground and The Kinks. The album magically captures the furious intensity of Wynn's concert performances and blends it with the brilliant pop-oriented production of Wynn and John Agnello. Agnello has previously worked on albums by Dinosaur Jr. and Patti Smith. "I honestly think this is my best sounding record and a lot of the credit has to go to John Agnello," said Wynn. The disc kicks off with the adrenaline-pumping air travel nightmare of Silver Lining and never looks back. The title track pushes off Linda Pitmon's powerful cadence and lands in the swirling guitar-drenched insanity of Ray Davies' Strange Effect. Eerie keyboards float in the background to This Deadly Game making Wynn's vocals even more haunting. Sweetness and Light is an album that is full of cleverly crafted pop tunes that will immediately capture your attention and repeatedly bring you back for more. The songs perch on the edge of the surreal madness that surrounds Wynn's cynical tales of bad relationships. The same can be said for Take Your Flunky and Dangle, except that the glossy production has been removed. This album was originally released as a limited-edition collectible available only through mail-order from a German record company. Only 2,000 copies were printed, and consequently it has been unavailable for the past two years. 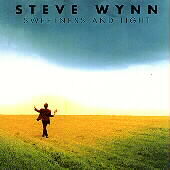 All of the songs carry a back-to-basics approach, and the stripped-down, acoustic-based nature of the album showcases Wynn's extraordinary talent as a songwriter. 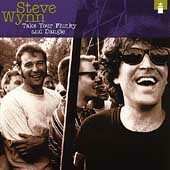 Make no mistake — the songs are still written in his incredibly infectious style, but the natural modesty of Wynn's approach gives Take Your Flunky and Dangle a more organic and pure mood. Animation rides a bubbling bass line towards its irresistible chorus. A laid-back How's My Little Girl contrasts sharply with the revved-up version that appears on Sweetness and Light, but is equally solid. In addition, mandolinist Robert Lloyd graces several of the tracks on this disc, and his contributions to Counting the Days and AA are absolutely magical. These are two great albums that provide glimpses into Wynn and his music from vastly different directions, and they're both vital to any collection. Wynn's Dream Syndicate helped to invent the indie rock scene of the 1980s, and while many other bands have since sold-out, Wynn's integrity remains intact. With Sweetness and Light and Take Your Flunky and Dangle, Wynn comes full circle, breathing new life into a music industry that sadly needs it.